Mark Hyde and his wife were on vacation when he had very odd visitor. They heard a persistent quacking at their front door. When they opened to see what was going on the two discovered a mother duck adamantly quacking at them while surrounded by a her eight ducklings. The couple then heard a distant squeaking and chirping sound coming from a nearby storm drain. Upon inspection they saw two of the mother’s days-old brood had slipped through the grating into the drain. They quickly called Wessex Water to help rescue the ducklings. 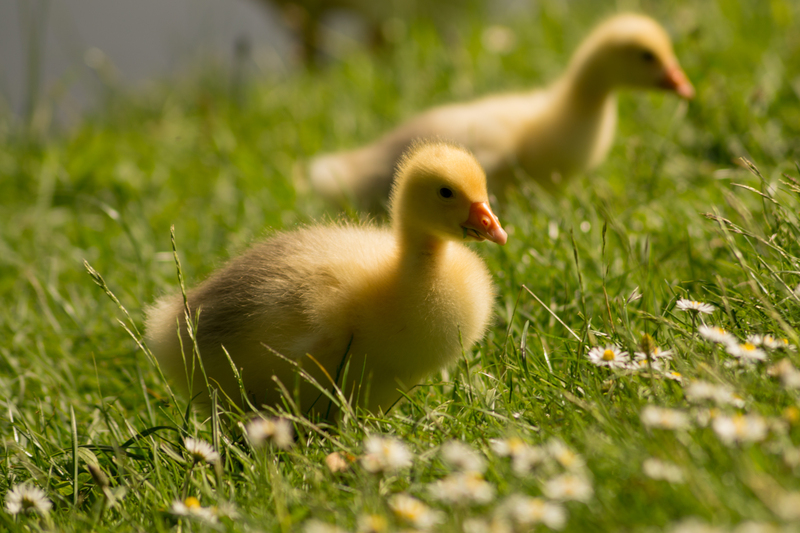 However, by the time technicians Brendan Sutcliffe and Keith Carter removed the grating, the duckling had wandered deeper into the drainage pipe. With Mamma Duck still quacking in an attempt to communicate with her little ones, the technicians had a frankly brilliant idea: they recorded her quacks on an iPad and lowered it into the drain mouth. Hearing there mother’s clarion call, the waddled back to the drain mother where they were safely lifted to rejoin Mom and their brothers and sisters. Following the reunion, the whole family was relocated to a nearby stream. Four quick thinking humans had saved the ducklings from a dire situation but it all started when a clever Mamma duck knew where to quack for help. Read more at The Daily Mail and the original article in the Bridport and Lyme Regis News.